Do your employees have the right profiles for your work on ProZ.com? « Translator T.O. 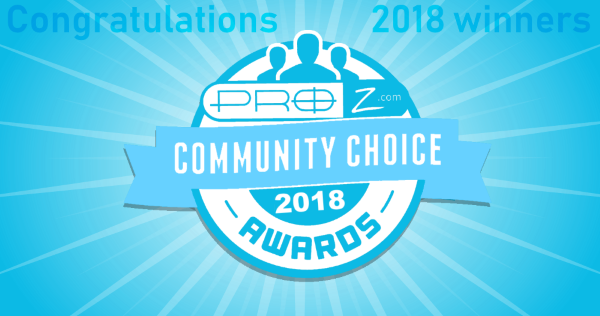 ProZ.com Corporate members enjoy all the benefits granted to freelance professional members, plus several other exclusive tools and opportunities. The prestige associated with the corporate badge and the positioning and visibility of Corporate members in the ProZ.com Translation agency and company directory are obvious advantages. This post will deal with other, lesser-known benefits. Employee profiles: Corporate members may designate other profiles as belonging to their employees. These employee profiles will have member benefits without the need to purchase separate memberships themselves. For instance, they have full access to the Blue Board and can quote on member-only jobs (provided that the other requirements are met). Search by email feature: An exclusive tool enables ProZ.com Corporate members to enter an email address (received, for instance, in an application page or email message) and to search for the matching ProZ.com profile. This is an additional risk management tool to face the threat of scammers who impersonate translators to scam translation companies. Job posting notifications: Corporate members now have the option to receive notifications based on the fields declared in their company profiles. Company profiles are not bound by requirements that only make sense when the service provider is just one person, such as “Native language”. With this tool, Corporate members can choose to be notified of all the job postings that they can submit a quote on. This is done by comparing the requirements in the job posting with the working languages they have declared that their company provides services in. Use of the ProZ.com translation center: Corporate members can use a dedicated instance of the translation center powered by ProZ.com to manage their projects. Several Corporate members are actively using this platform, and they delivered a cumulative total of over 2.5 million words in May 2016 alone. The platform is actively evolving. User interfaces have been improved and the next releases will include the import of CAT tools analysis and new vendor management tools. This Corporate Corner is a section of the blog dedicated to conveying the voice of corporate members, to help them contribute to the growth and maturity of the language industry and to become better known in the process. If you are interested, please contact us by submitting a support request. An investment in a ProZ.com Corporate membership provides value today – and well into the future. Let’s all grow together!